Hello, everyone in MD land. I hope your summer went well. There were so many classic and new bands out on the road; hopefully you got to enjoy a few of those live shows. And hopefully you didn’t miss last month’s “Alive and Kicking!” theme issue, in which we interviewed players who power the world’s biggest musical acts. We talked to the drummers with Bruno Mars, Kendrick Lamar, Bon Jovi, Damian Marley, and Lamb of God about their daily routines, their nightly responsibilities, and what it takes to play at the very highest levels of stage performance, where it’s not just the skills that matter, but the consistency. A quarter century in, he can lay claim to some of the most beastly and brainy drum tracks of the modern era. And with each new recording, he just gets better and better. It’s safe to say that fans of psychedelic pioneers Pink Floyd and their cofounder Nick Mason weren’t expecting the sonic riches that have been bestowed upon them this year. It’s also safe to say that neither was Nick himself, at least not until fairly recently. With all of the rock ’n’ roll self-help books, articles, and websites available at the click of a mouse these days, it can be strangely comforting to learn that a musician can still land a dream gig armed with not much more than a healthy obsession for the artist and music in general. 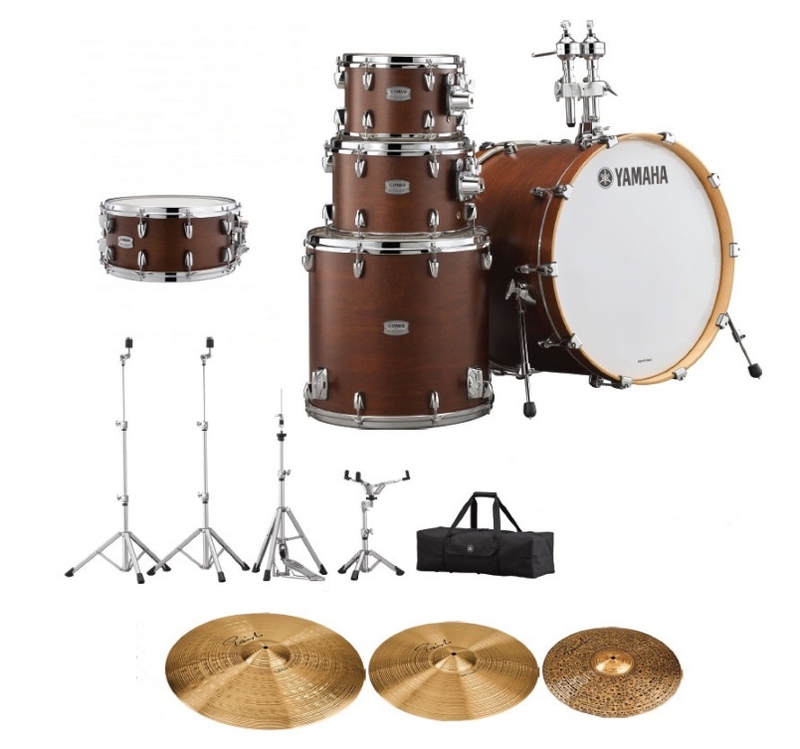 New and Notable - New Gear from Tama, Roland, Simon Phillips Jazz Drums, CEntrance, and Alesis!